I didn’t think I would ever find myself in rural Oregon, nestled between the waterfall-speckled Coastal Range and the vineyards of the Willamette Valley. Never the less, here I am, working for the Dallas (not Texas) Downtown Association. If you were not already aware, rural Oregon, even west of the Cascades, is not Portland. 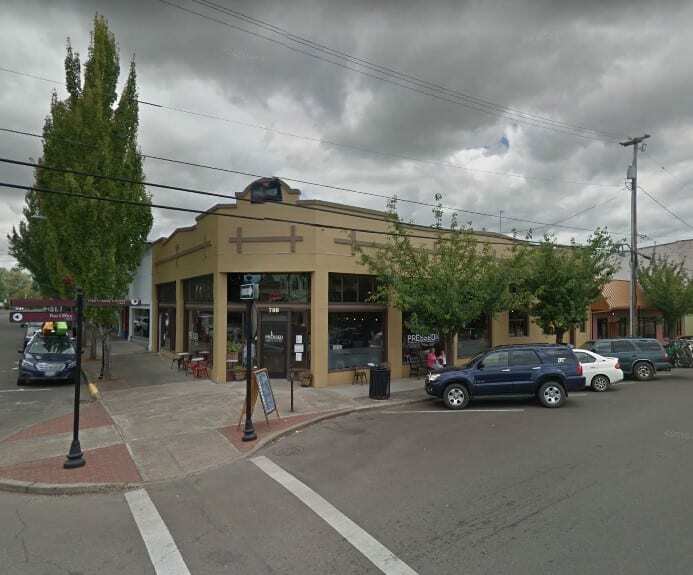 While the state is renowned for cycling, both for recreation and commuting, that attribute stalls out just South of the Multnomah County line. In Dallas, which has 15,000 residents, the car is king, even when moving from one end of the picturesque courthouse lawn to the other. In both pictures, you’ll note that cars are abundant. The moments are rare when a parking space is open between 9 and 5. I also can’t even begin to tell you the number of times I’ve seen a car re-park a few spaces closer to their destination instead of using an active mode of transportation. And no one in town can remember the last time they saw a tourist on a bicycle, despite the large amount of tourism the Willamette Valley receives from cyclists coming to pedal amongst the scenic farmhouses and mill towers. But this doesn’t have to be the case. And just because a community doesn’t have a cycling culture, doesn’t mean they aren’t willing to create one. 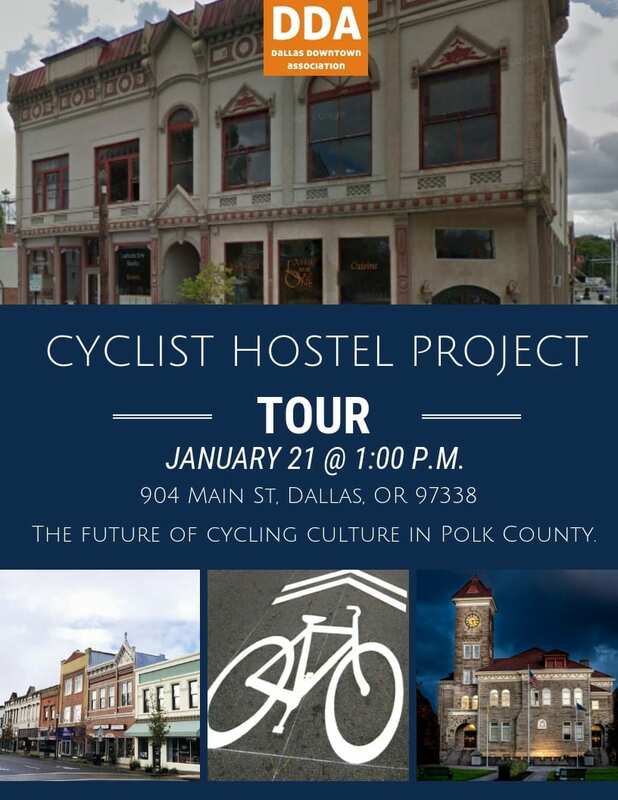 In the few months that I’ve been here, I’ve been honored to be part of a transformation in progress, a burgeoning plan to not only make the town for friendly to cyclists, but to use cyclist tourism dollars to stoke the economic engines downtown, and use the moment to rehabilitate a historic building downtown. The idea to capitalize off of bike culture and cycle tourism had been floating around for a while, but I’m proud to say that during my time here, a plan has been put into gear (pun intended). As a former bike commuter (I walk to work now), I brought my experience and background to my position, and act as a bridge between downtown business owners and the biking community in the region. I started going to the meetings of cycling organizations, including the coalitions of neighboring bike-friendly communities of Independence, Monmouth, Salem, and Corvallis. I helped put together plans to make Dallas more bike friendly with some local business owners, and tagged on to a team getting businesses and the city bike-friendly certified with the state of Oregon. While it is still early in my involvement, it has been rewarding, and I feel like we’re making progress, with a bike valet and a set of bike racks already in the works. So what was the big catalyst to this change of heart? One word: Gooseneck. A massive mountain biking project that is slated to open in three years. Formerly a logging area, the BLM land is being transformed into a system of trails that will be truly unrivaled in scope. It is expected to bring in large amounts of tourists, and Dallas will be the closest town to the project. This presents a do or die economic proposition to our community: will we be able to capitalize on Gooseneck, or will we lose out to our neighboring communities again? We started applying for the Main Street Revitalization grant to turn the upper floors of a downtown Victorian jewel into a bike hostel. During the process, local cyclists have started talking about their experience biking in Dallas, and looking toward the future. Assuming it moves forward, it will include more than a dozen beds, an elevator, a community space for biking associations to meet and have events, and earthquake-proofing the building. 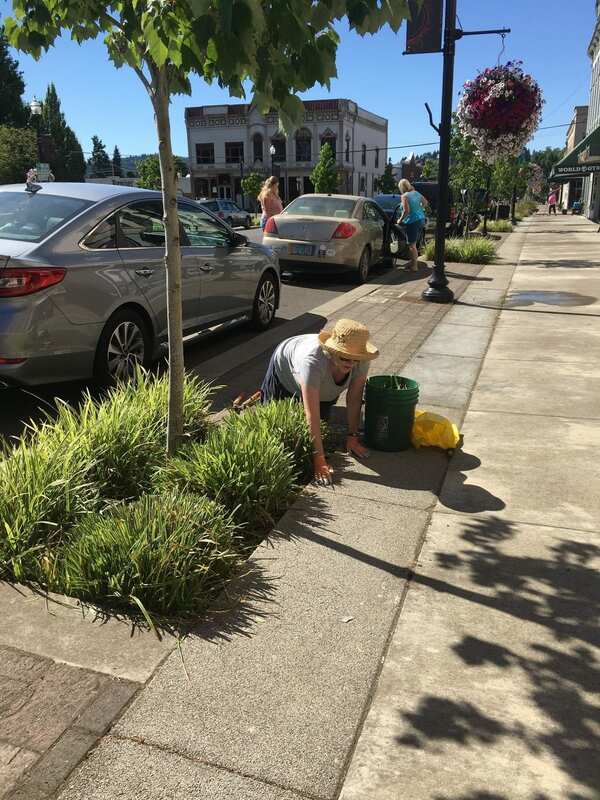 The grant, which one of the key grants distributed through the Oregon Main Street program, would be a key part of financing the project and requires excessive community support. The biking coalitions that I’ve been in contact with are coming to town later this month to see the project, and weighing whether to write letters of support to help us in our endeavors, for the good of the region, even if it means they lose a few cyclists to Dallas. At this moment, it seems like Dallas is turning the page toward a cycle-happy future. Working across lines of difference to create a cozy bike-friendly atmosphere downtown has been the highlight of my service so far, and I look forward to that trend continuing into the future. Next step? I’m planning on facilitating a Dallas biking group in my spare time, comprised of mountain bikers and road cyclists, that can meet downtown and advocate for themselves, long after I’ve moved on from my temporary little home. People may be surprised when they learn that I don’t like to surprise people. I present myself honestly.